Perhaps a little mayhem with your coffee? The world's worst heroes are out to save the world in the Suicide Squad movie. 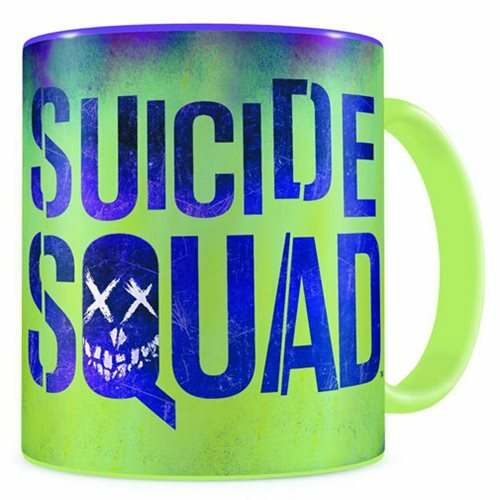 Drink a toast to these heroic criminals with this Suicide Squad Logo Ceramic Mug. Hand wash only. Not dishwasher safe. Approximately holds up to 12-ounces. Measures approximately 4-inches tall. Ages 13 and up.